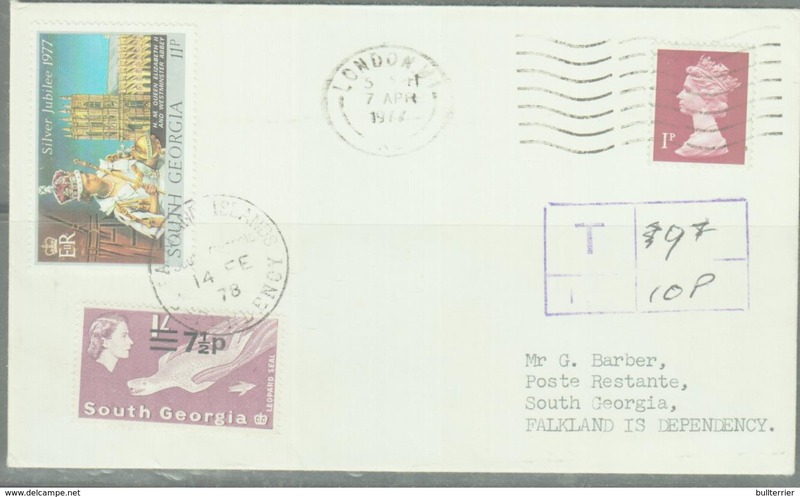 SOUTH GEORGIA/GB - 1978 - COVER FROM ENGLAND TO SOUTH GEORGIA "TO PAY"
South Georgia 1963-69 set unmounted mint. 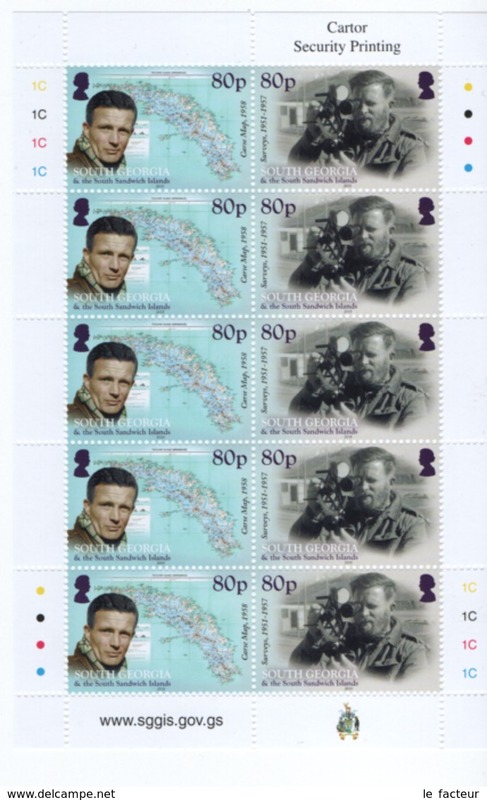 South Georgia 2005 Duncan Carse unmounted mint. 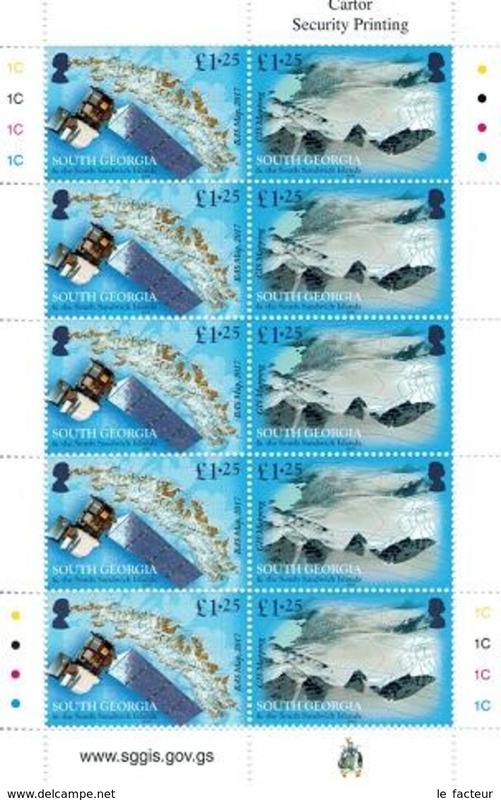 South Georgia 2003 £2 unmounted mint. 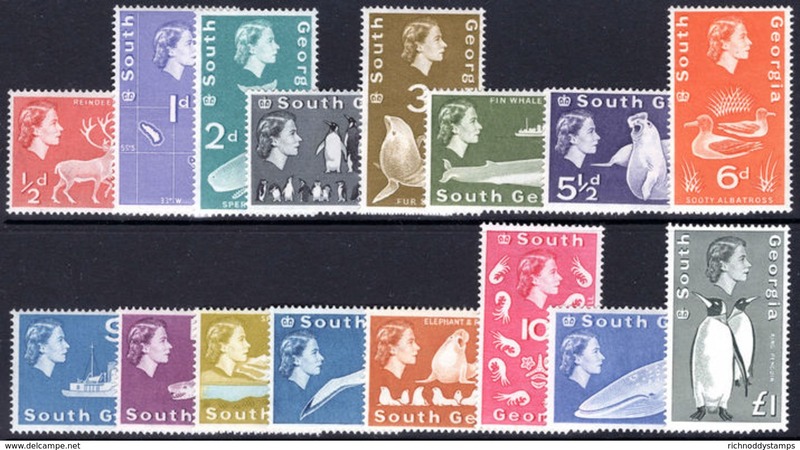 South Georgia 1963-69 set lightly mounted mint. 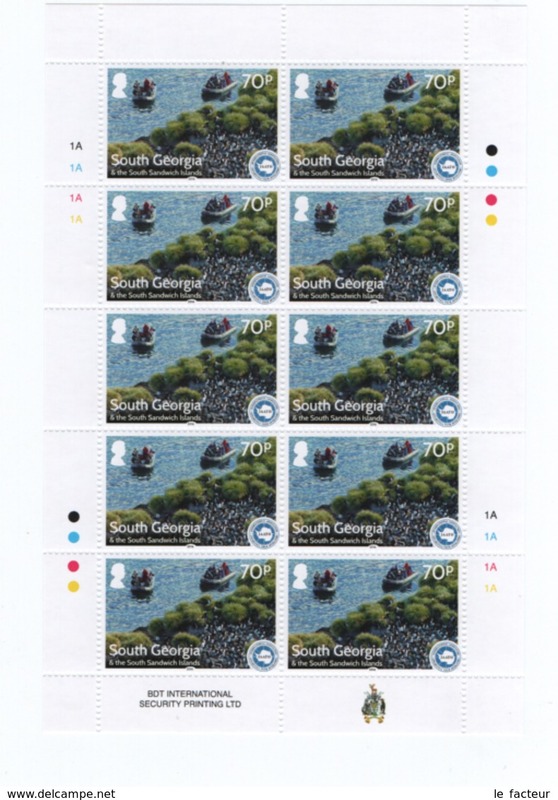 South Georgia 2013 Shallow Marine Surveys souvenir sheet unmounted mint. 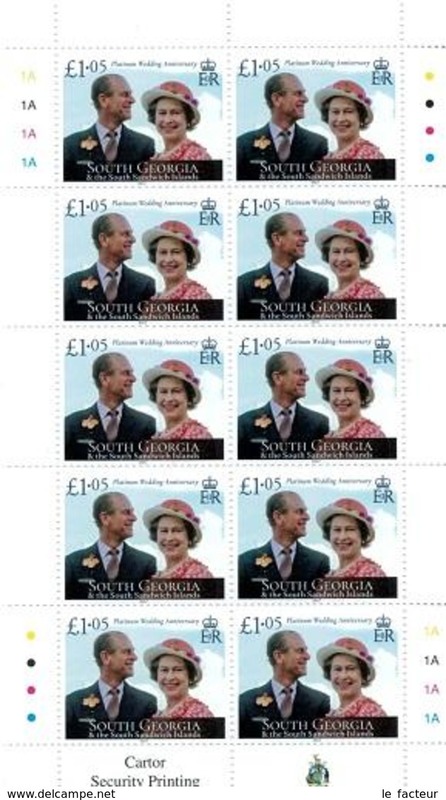 South Georgia 2015 Longest Reigning Monarch unmounted mint. 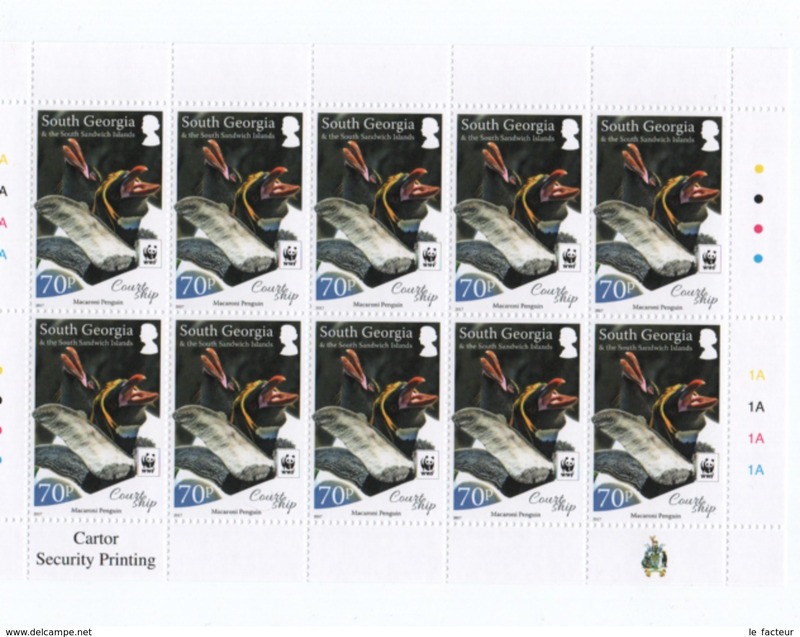 South Georgia 2014 Reindeer unmounted mint. 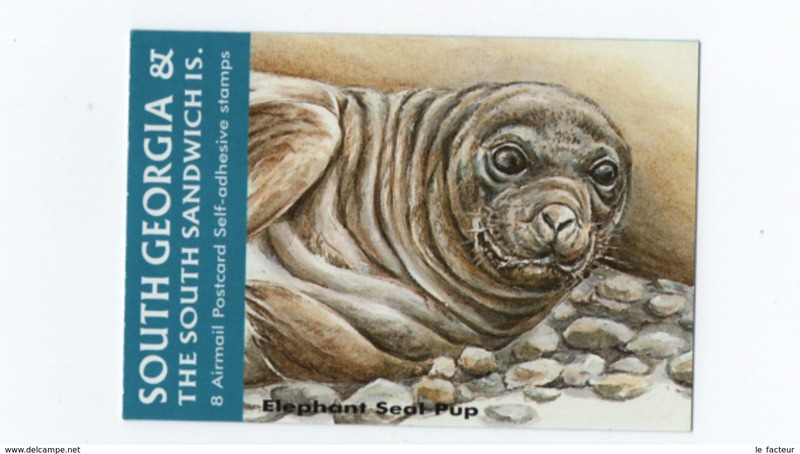 South Georgia 2014 Tom Crean unmounted mint. 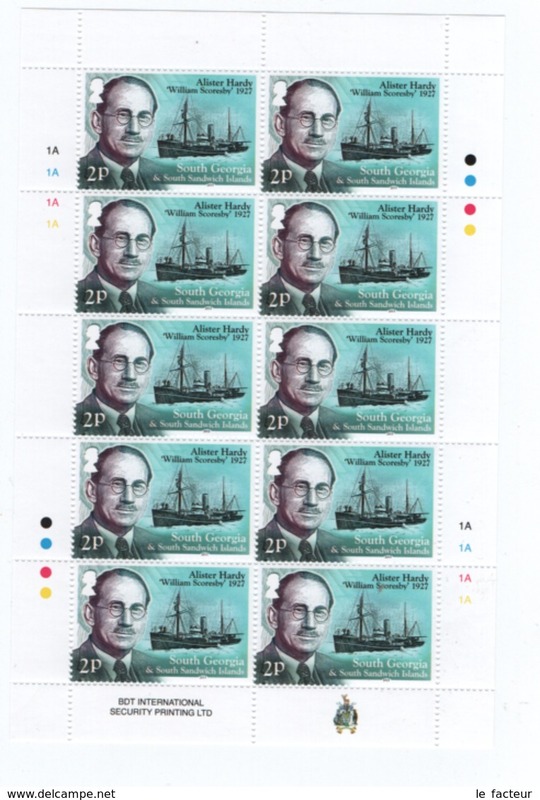 South Georgia 2014 Frank Worsley unmounted mint. 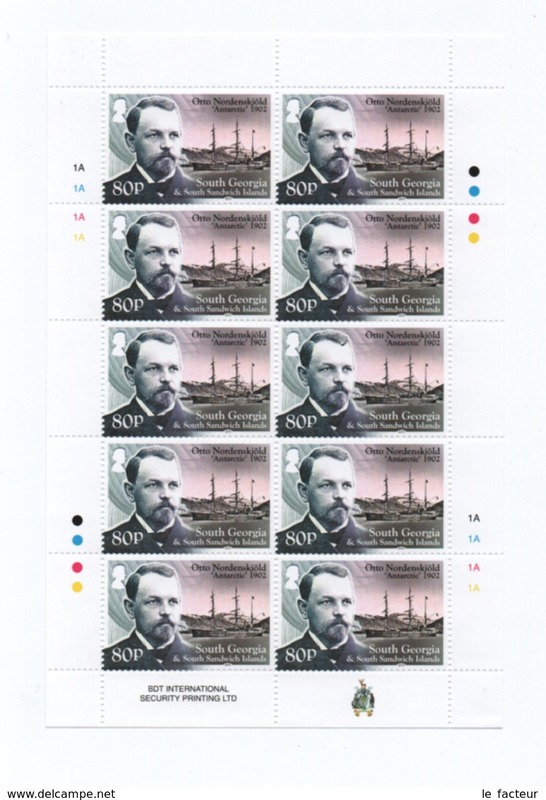 South Georgia 2014 Frank Hurley unmounted mint. 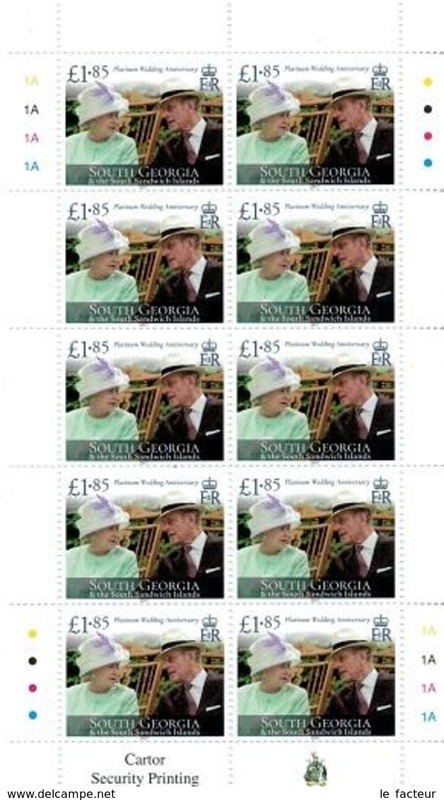 South Georgia 2014 Royal Christenings unmounted mint. 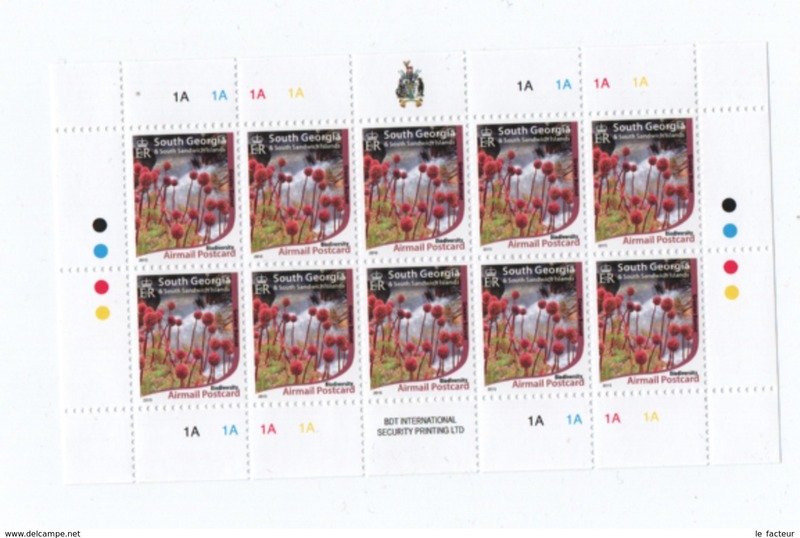 South Georgia 2013 Habitat Restoration unmounted mint. 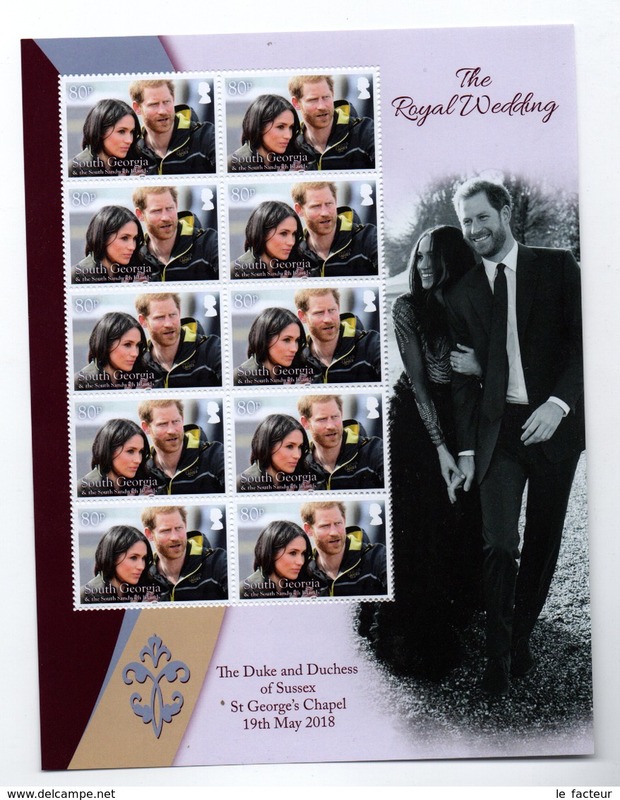 South Georgia 2013 Whalers Church unmounted mint. 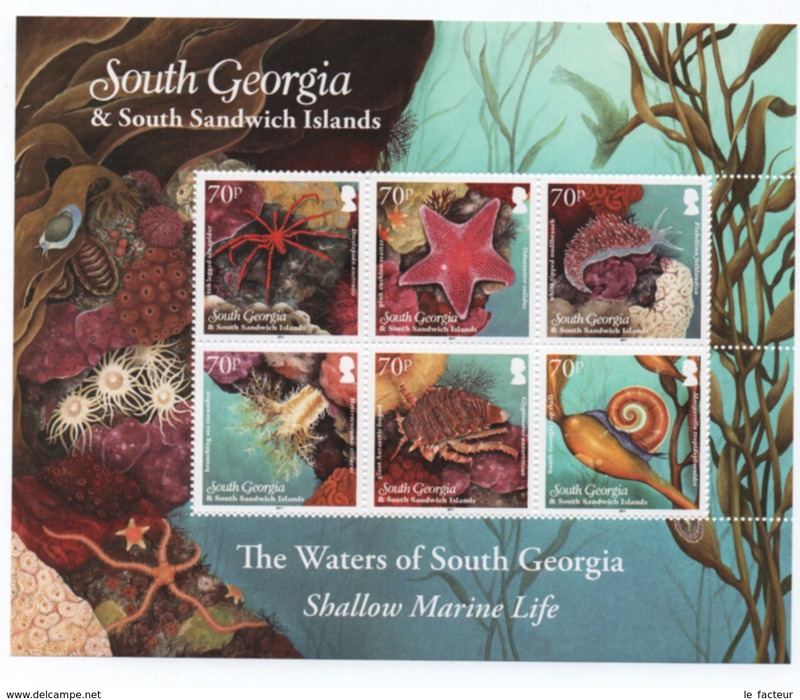 South Georgia 2013 Shallow Marine Surveys strip unmounted mint. 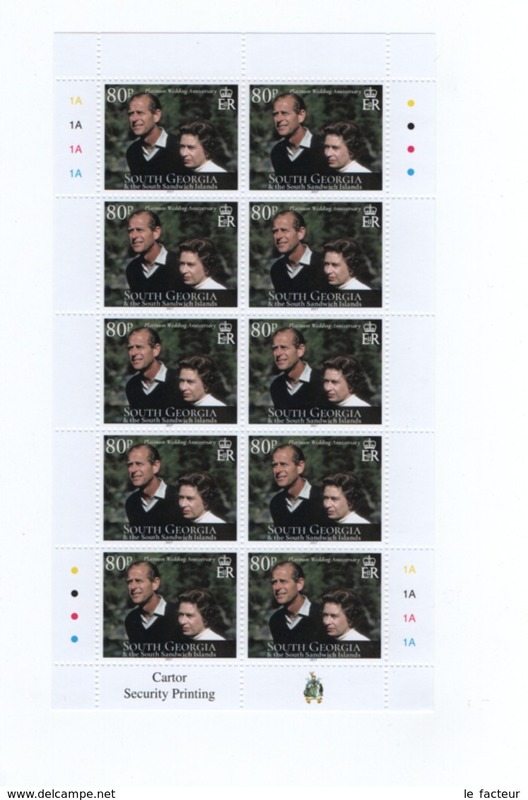 South Georgia 2013 Coronation Anniversary unmounted mint. 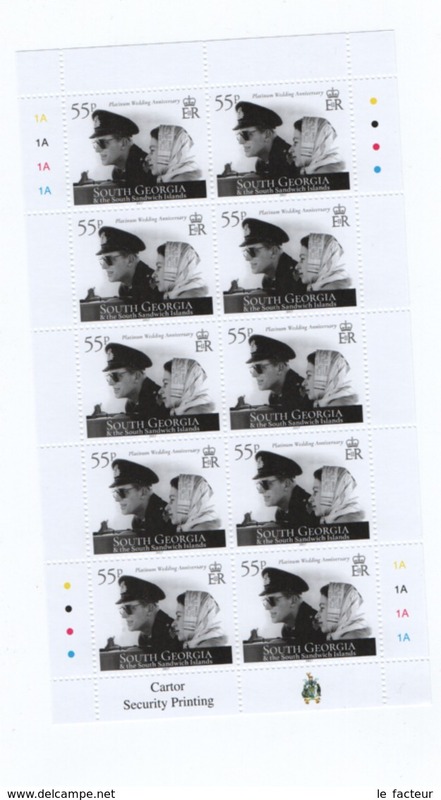 South Georgia 2013 Sir Rex Hunt unmounted mint. 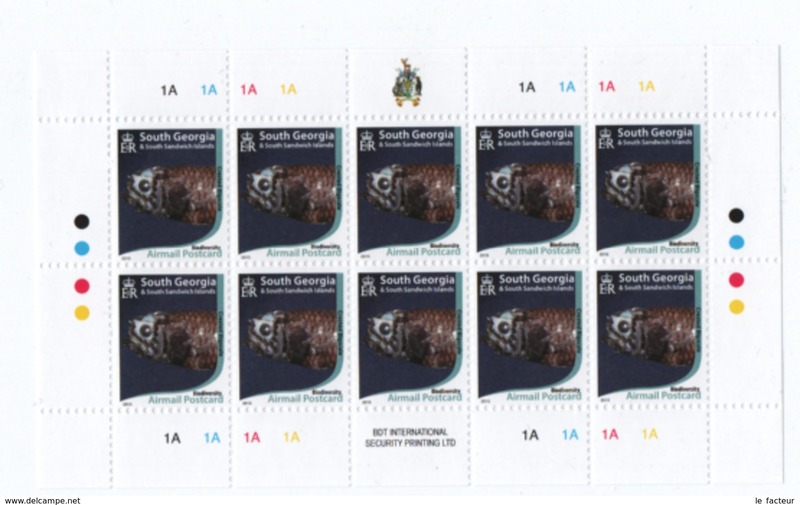 South Georgia 2013 Star Trails unmounted mint. 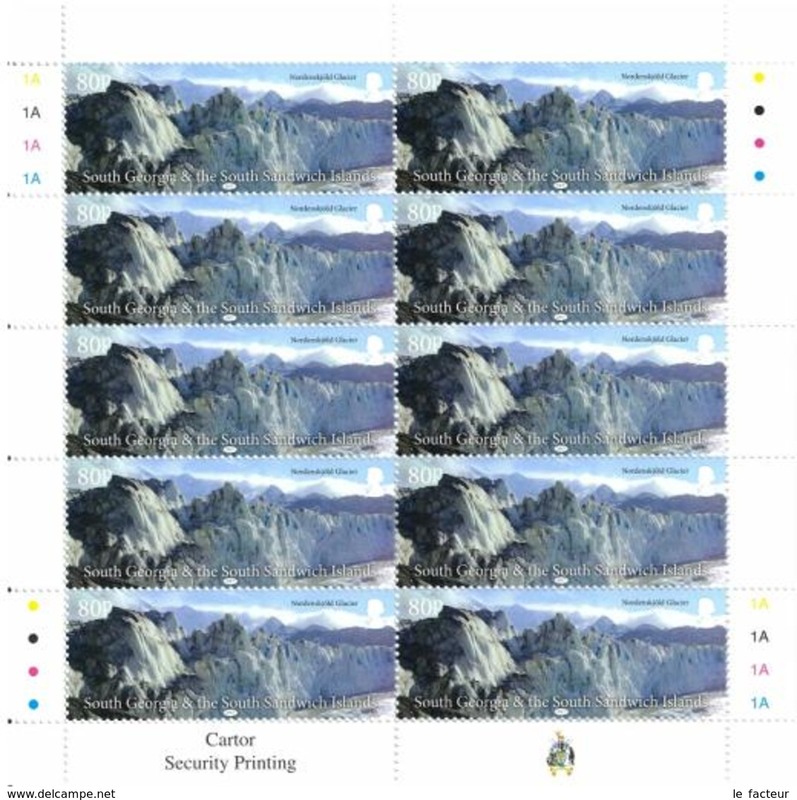 South Georgia 2012 Mountains unmounted mint. 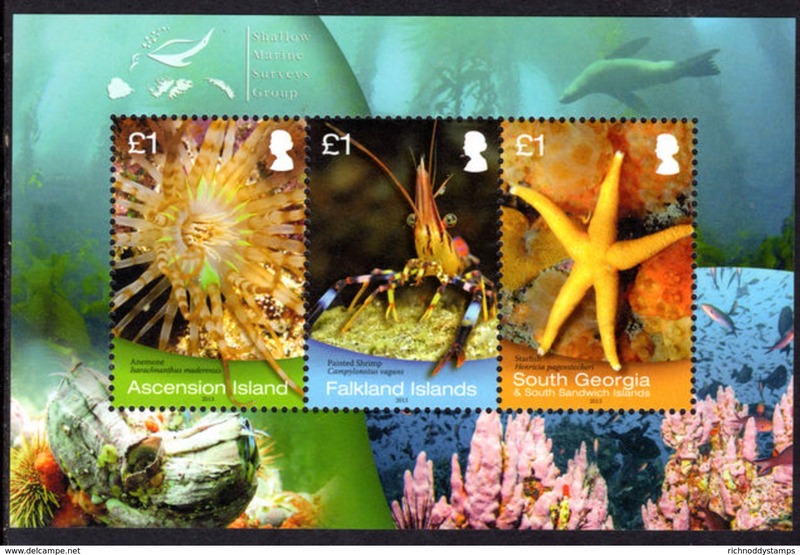 South Georgia 2012 Marine Protected Areas unmounted mint. 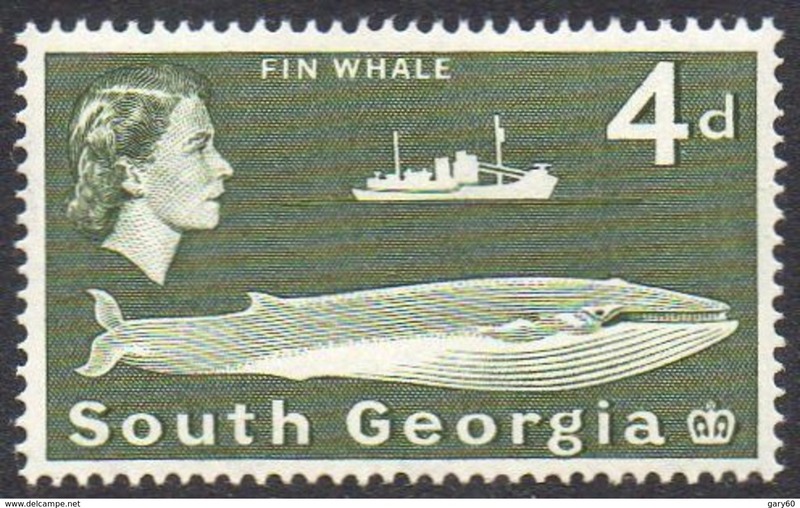 South Georgia 2012 Blue Whale unmounted mint. 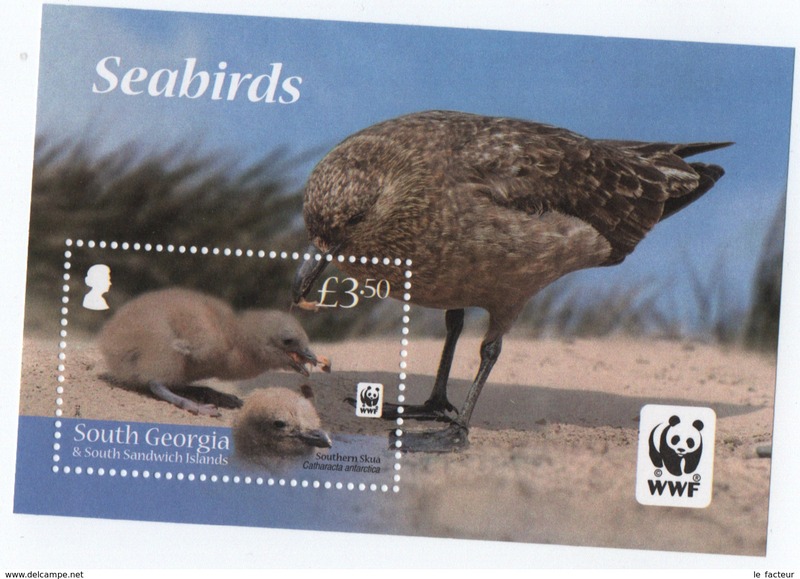 South Georgia 2012 Seabirds unmounted mint. 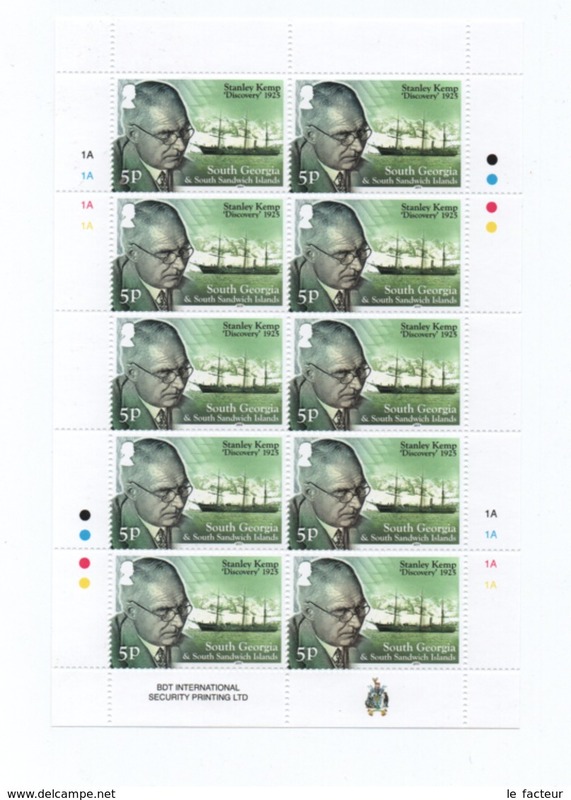 South Georgia 2011 Frank Wild unmounted mint. 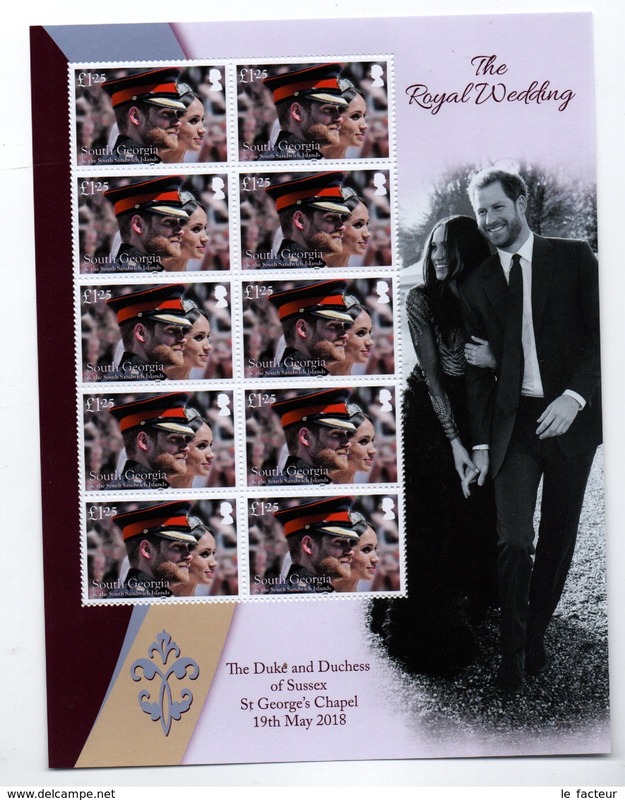 South Georgia 2012 Diamond Jubilee souvenir sheet unmounted mint. 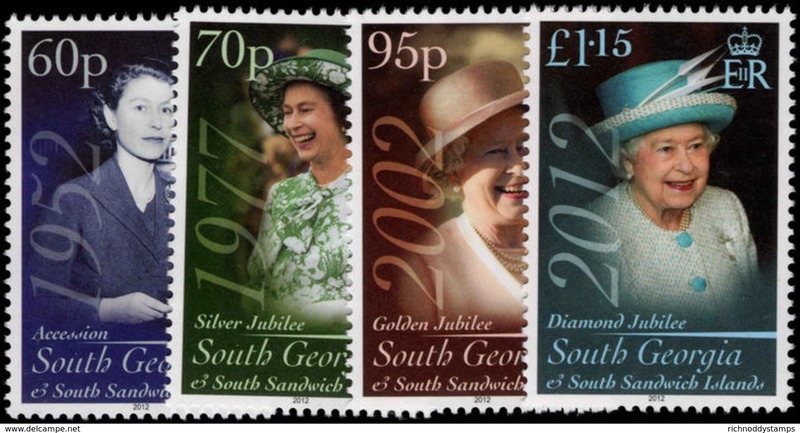 South Georgia 2012 Diamond Jubilee unmounted mint. 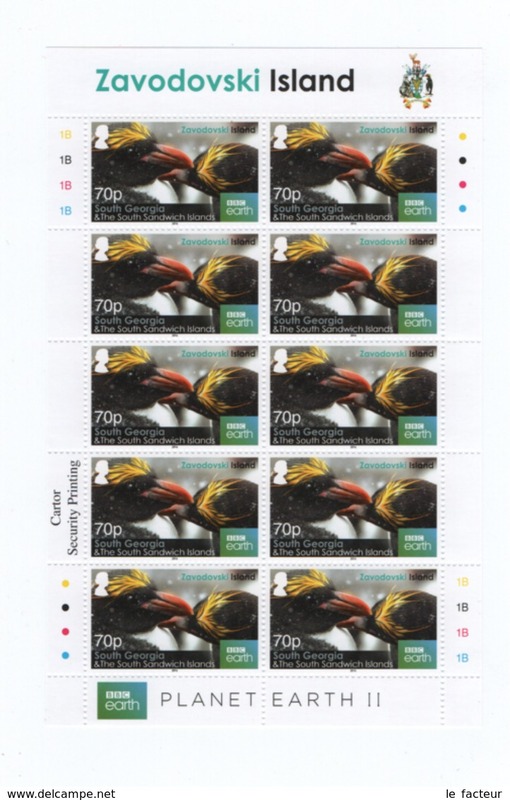 South Georgia 2012 Seabirds souvenir sheet unmounted mint. 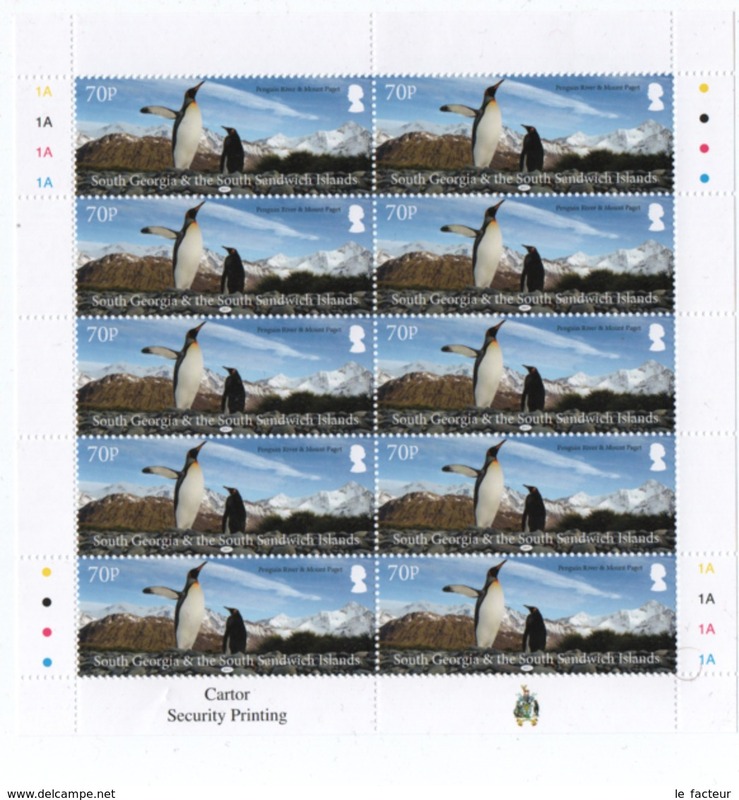 South Georgia 2011 BBC's Frozen Planet sheetlets unmounted mint. 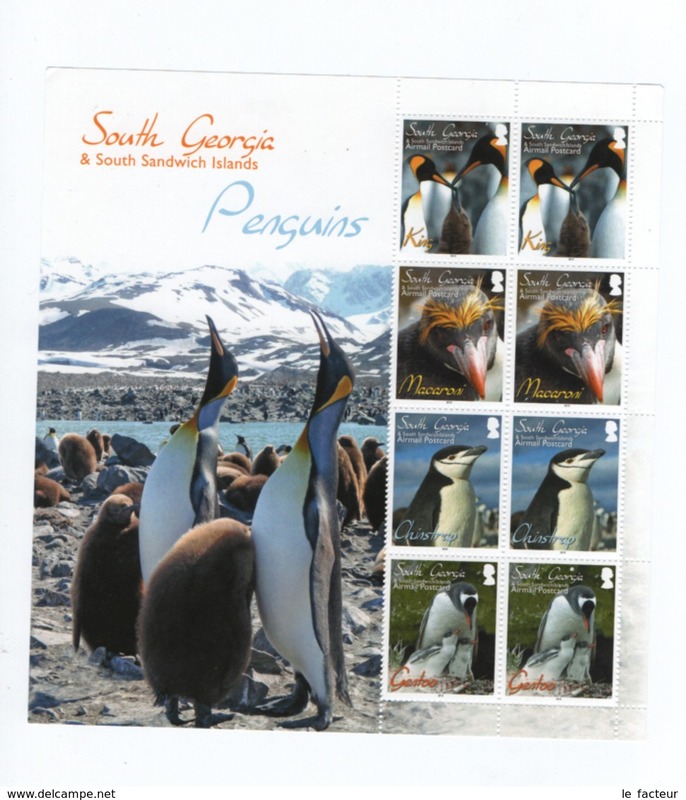 South Georgia 2010 South Georgia Penguins souvenir sheet unmounted mint. 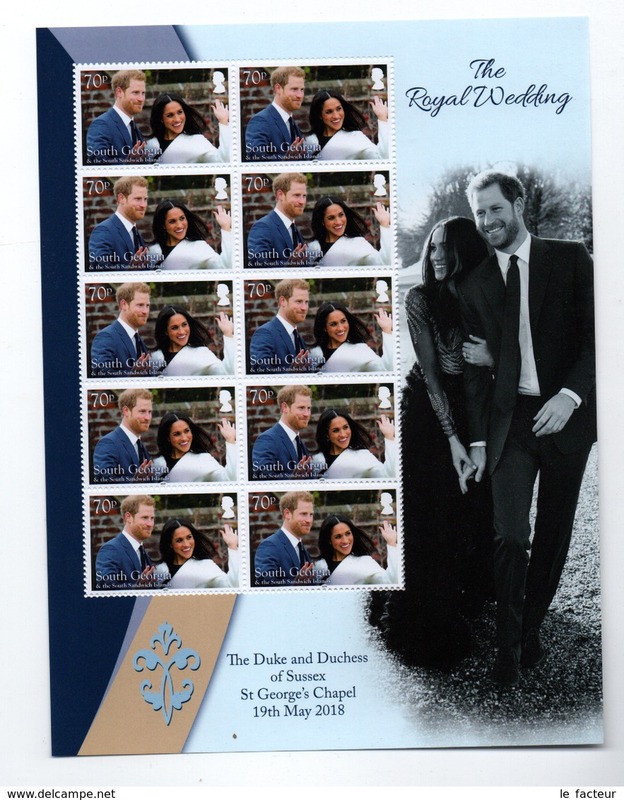 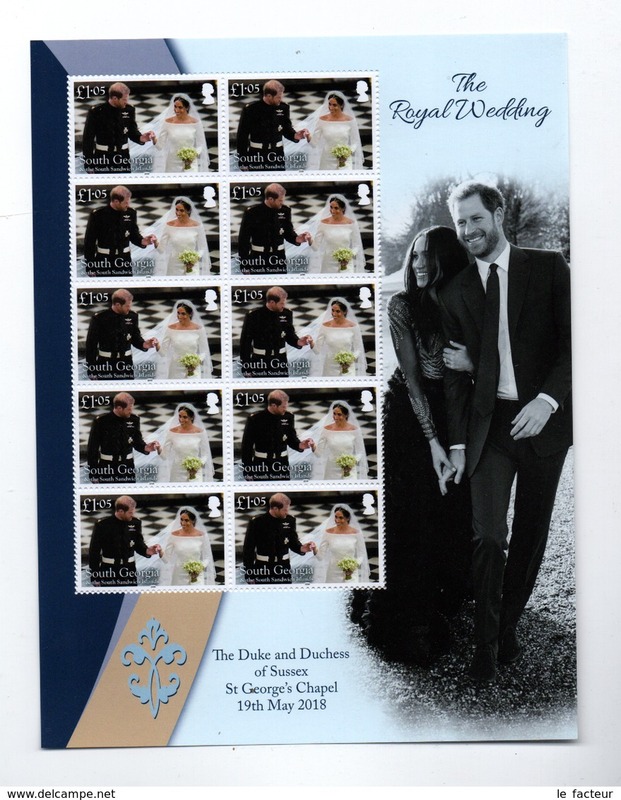 South Georgia 2011 Royal Wedding souvenir sheet unmounted mint. 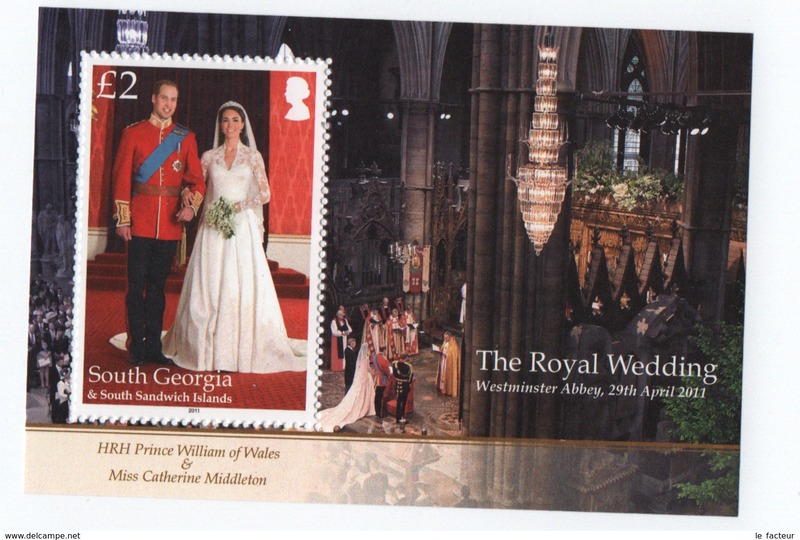 South Georgia 2011 Royal Wedding unmounted mint. 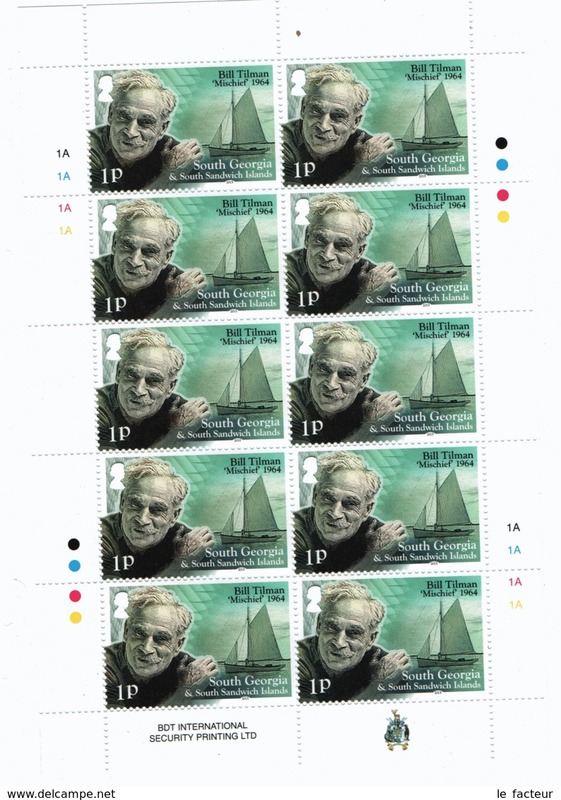 South Georgia 2011 Sir Alister Clavering Hardy unmounted mint. 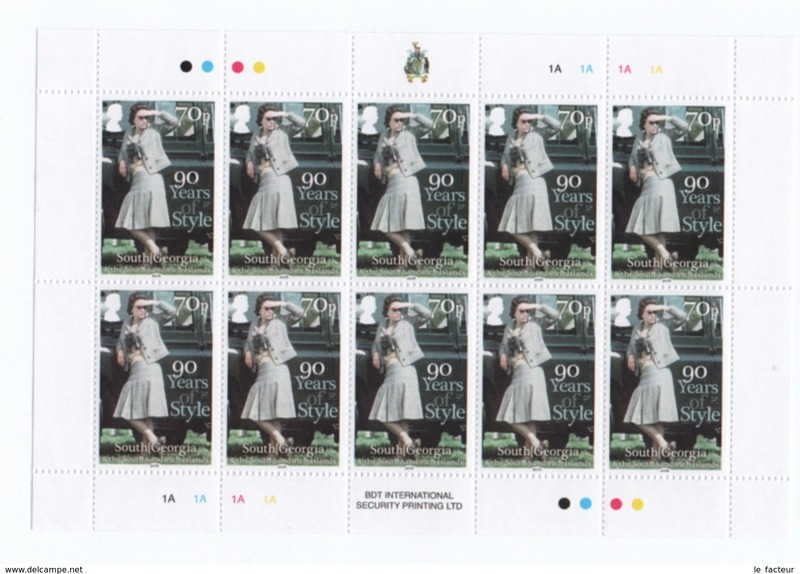 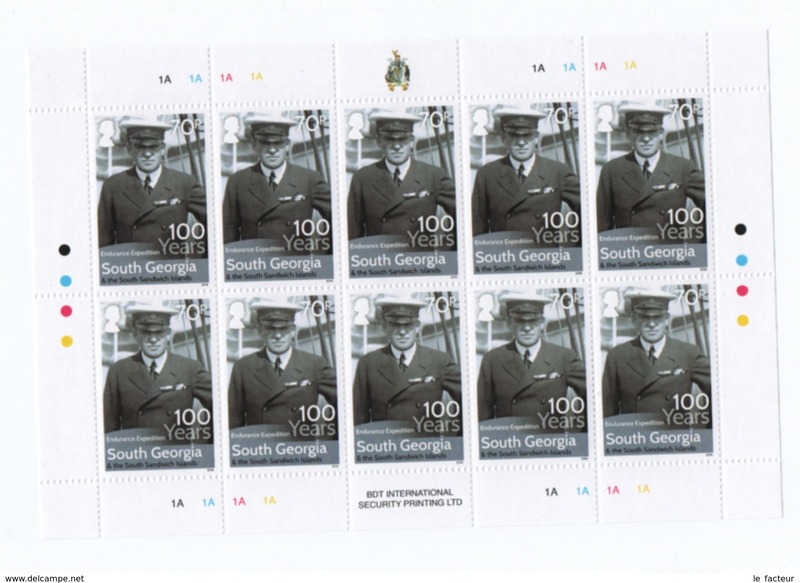 South Georgia 2009 Post Office Centenary unmounted mint. 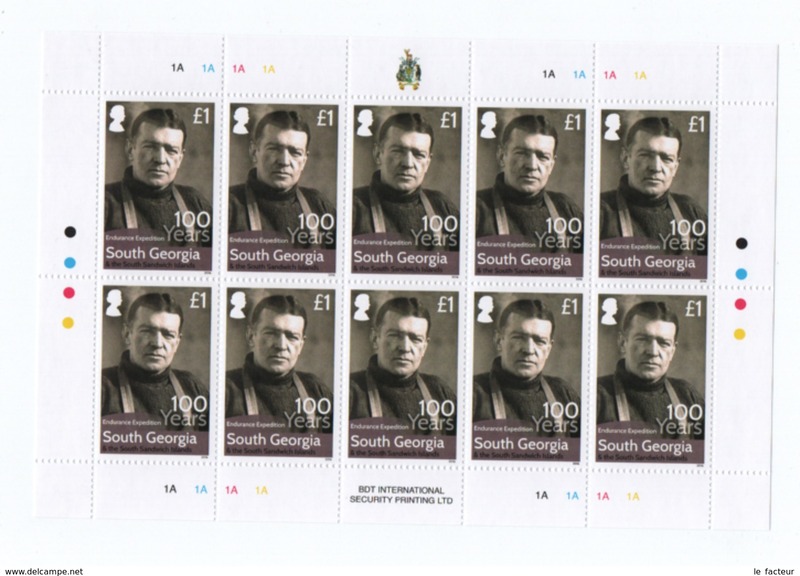 South Georgia 2009 Ernest H Shackleton unmounted mint. 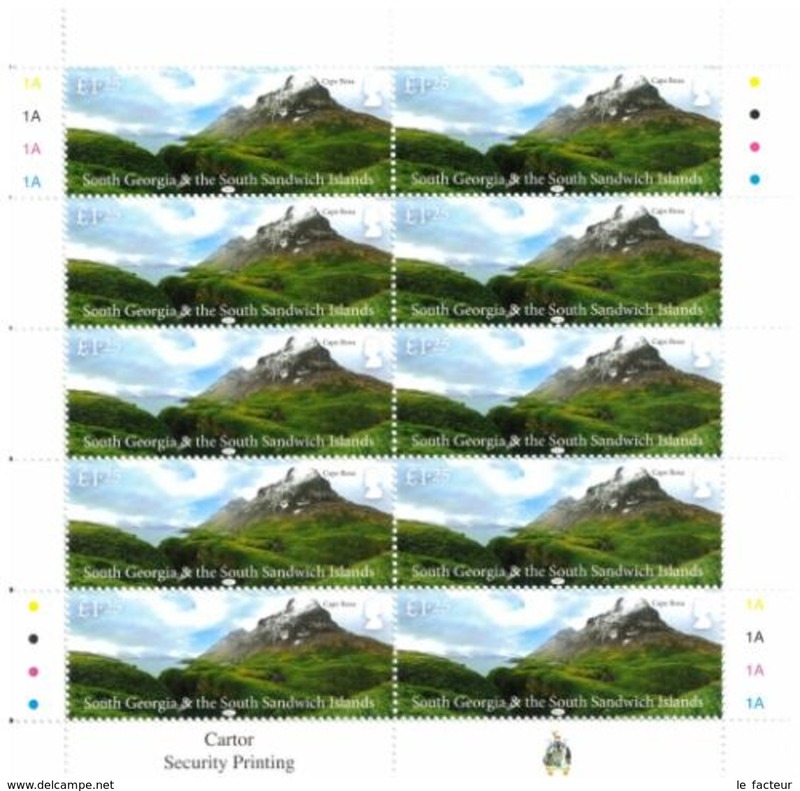 South Georgia 2007 Mapping unmounted mint. 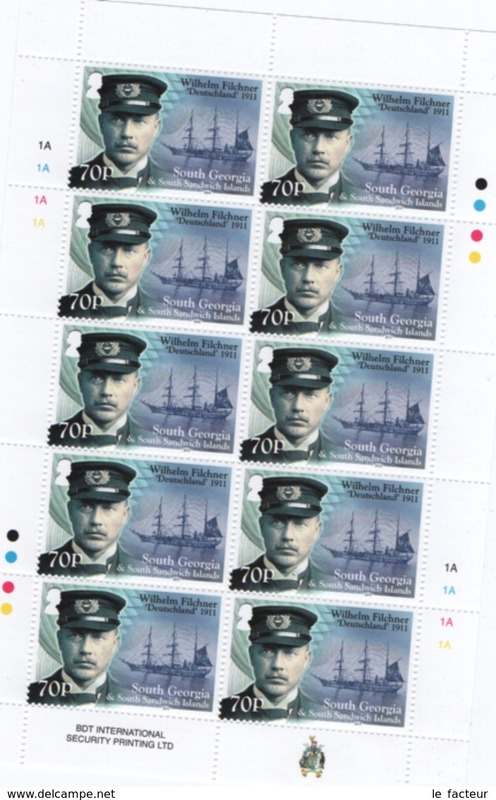 South Georgia 2006 Communications unmounted mint. 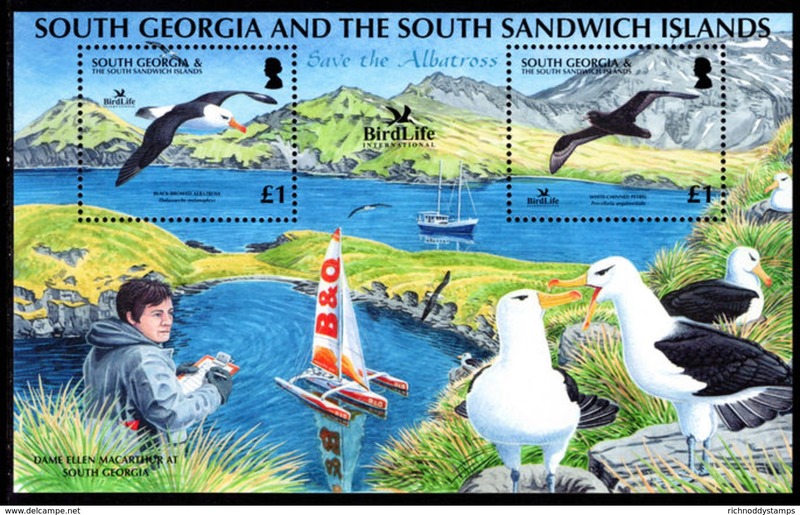 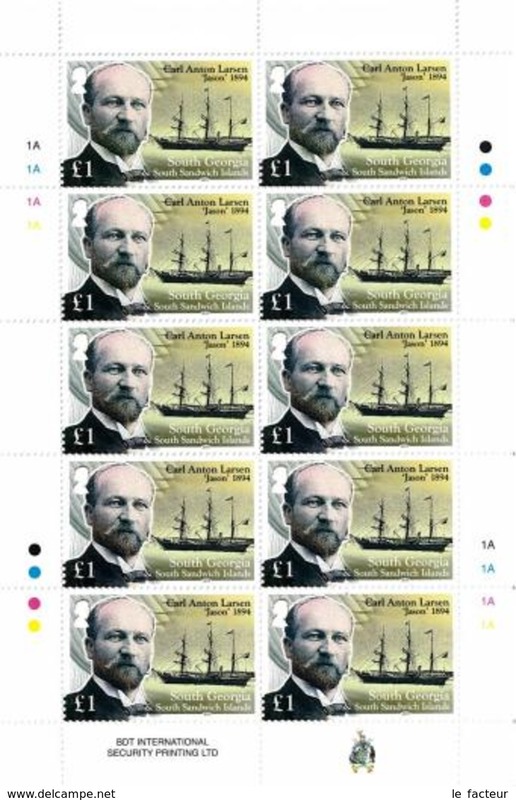 South Georgia 2006 Save the Albatross souvenir sheet unmounted mint. 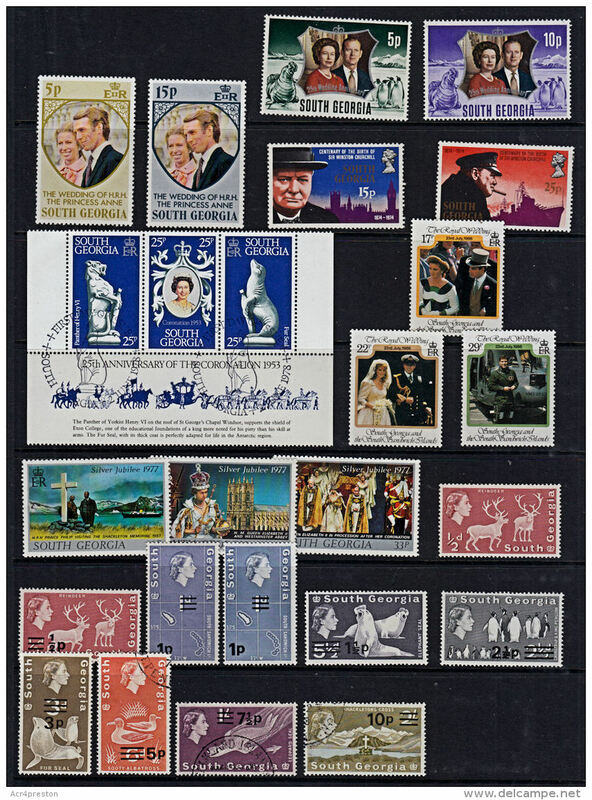 South Georgia 2006 Queens Birthday souvenir sheet unmounted mint. 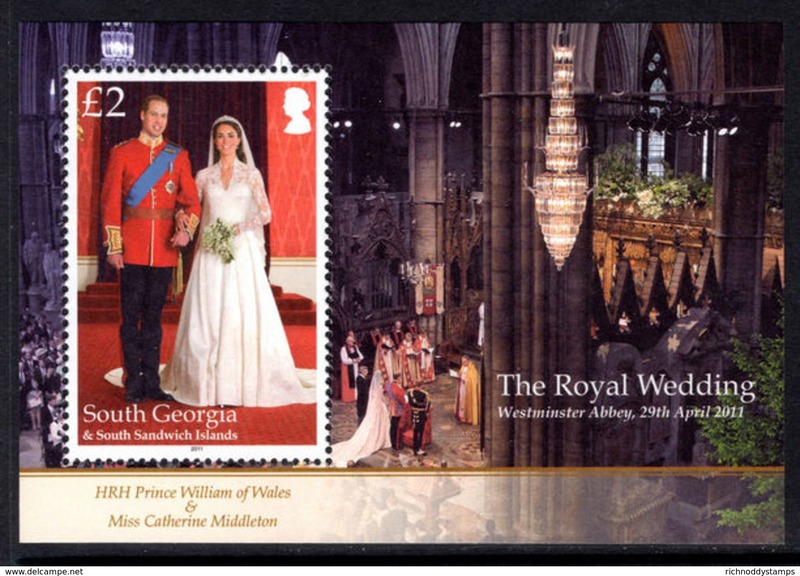 South Georgia 2006 Queens Birthday unmounted mint. 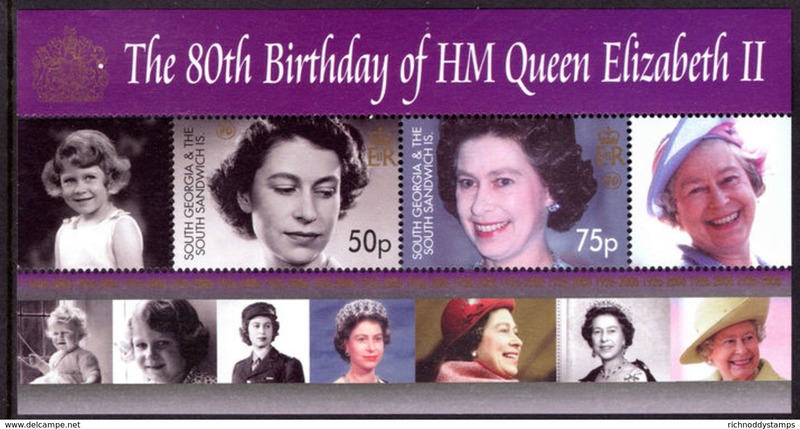 South Georgia 1990 90th Birthday of Queen Elizabeth the Queen Mother fine used. 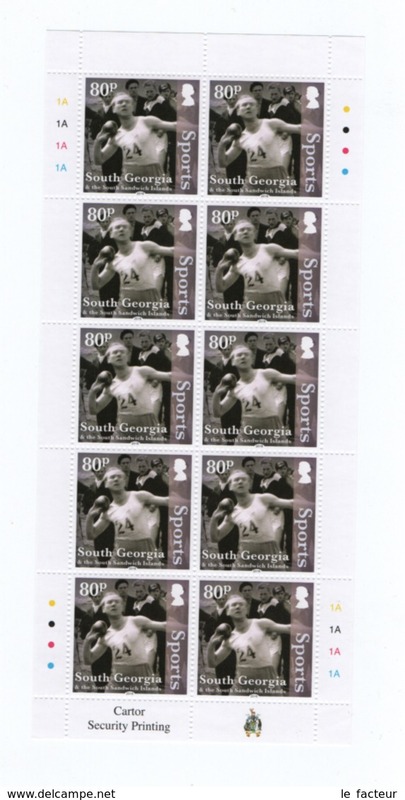 South Georgia 2004 Aspects of South Georgia sheetlet unmounted mint. 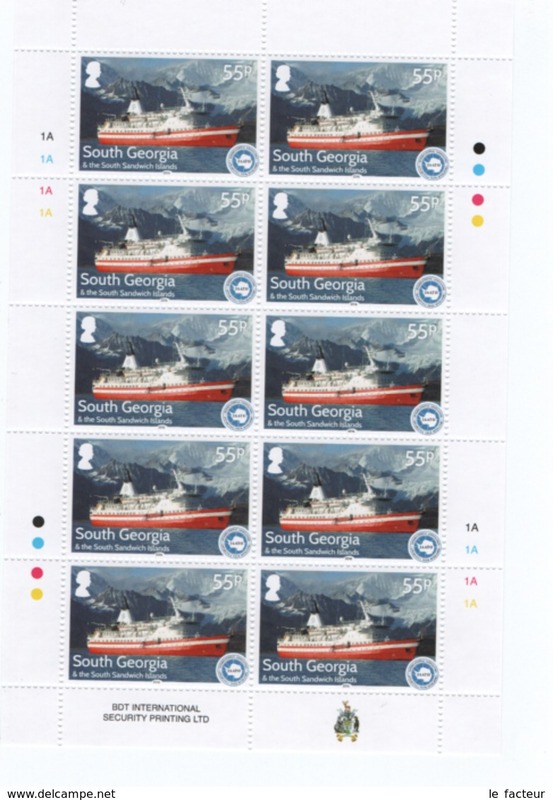 South Georgia 2004 Grytviken unmounted mint. 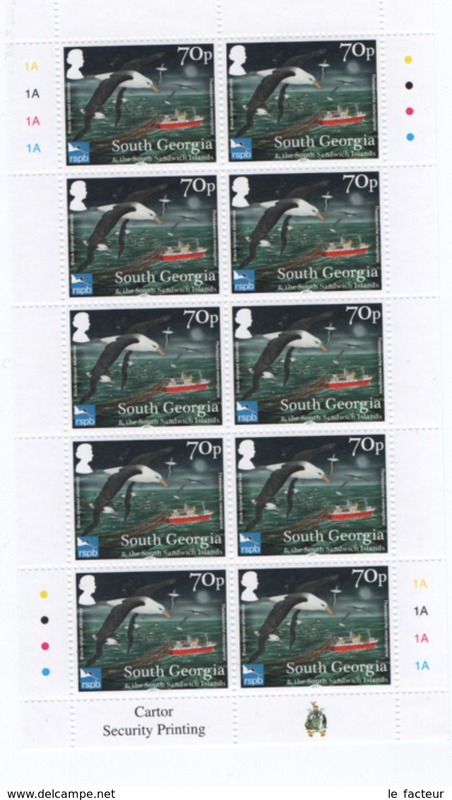 South Georgia 2004 Juvenile Fauna unmounted mint. 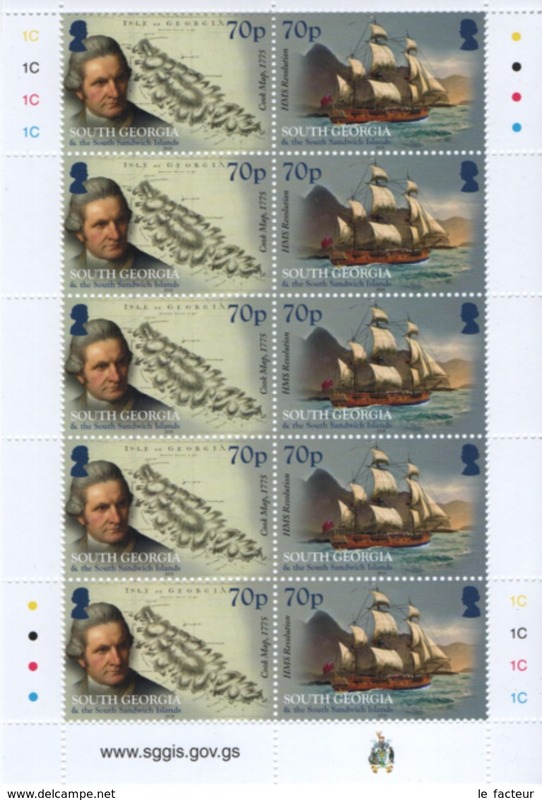 South Georgia 2004 Royal Naval Frigates unmounted mint. 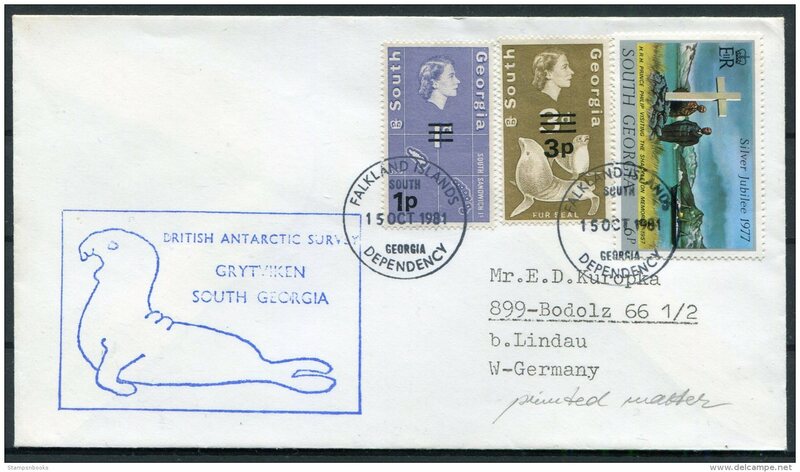 South Georgia 2002 Fur Seals unmounted mint. 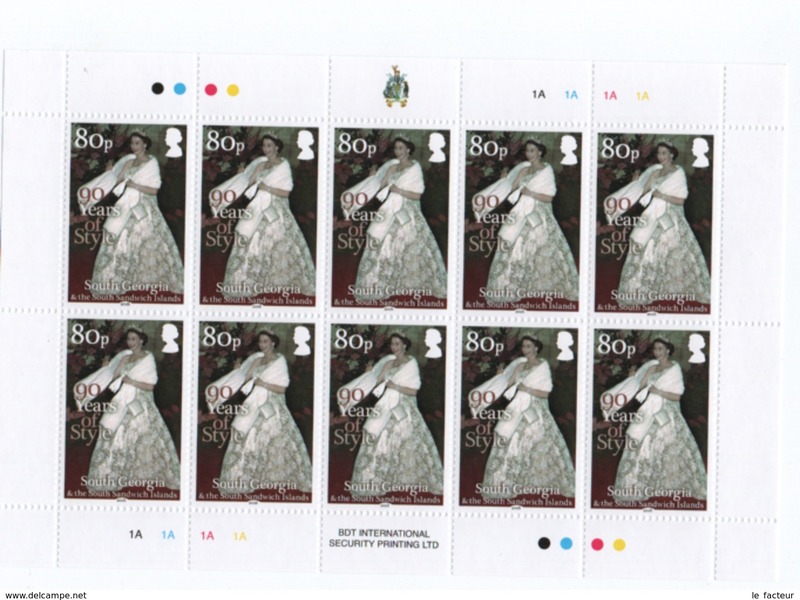 South Georgia 2002 Queen Mother unmounted mint.